I recently spoke with Sally Noteware, Special Projects Coordinator for Harvard Medical School’s MEDScience program. They have been using Regpack for their high school program registration for 4+ years! The annual program is a weekly long intensive program for high school students. 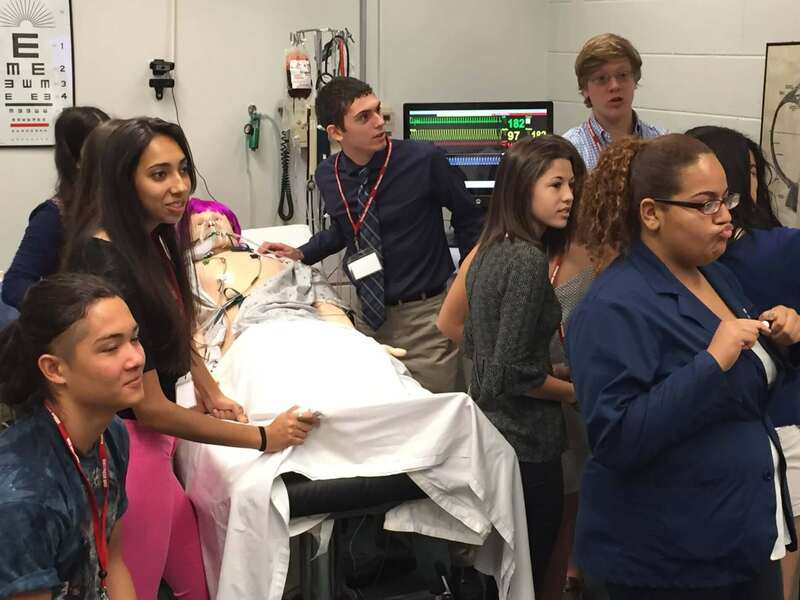 The students become CPR certified and are able to participate in medical simulations, learn clinical skills and meet medical practitioners and more! Sally and her team have been using Regpack since 2014 for their high school program registration software. They use Regpack both to register students as well as manage the teacher recommendations that come in. We link their two projects with an API so every student’s file is complete! Tell me about the MEDScience program. The program is a non-profit, run at Harvard Medical School. It’s a tuition-based summer class for high school students. What made you choose Regpack when you were looking for a registration software for your program? I was actually not the person chose Regpack. From what I understand, the reason he picked Regpack was it allowed us to customize it. The way our program works, we have two pieces to the application process. We have a separate project for teachers to write a recommendation and it links to the student applications. That was something a lot of other registration programs didn’t offer. Tell me about the reports you use in Regpack and how they are helpful for you. Just like everybody else, we’re trying to gather statistics who are user are now that we’re online. We are tracking different populations, so Regpack allows us to pick and choose what information we want. We can run a report and see who we’re appealing to. Would you recommend Regpack to other special projects coordinators? If so, why? Regpack works well, it’s easy to use and customizable. It’s so customizable and I think that’s the biggest feature. It’s competitive cost wise as well. The other thing that has been really helpful for me is that Support is really helpful. To be able to write in with questions and someone responds. This year I’ve been getting video clips to help answer a question. It’s so helpful! You don’t have to be a sophisticated IT person to get help on using the system.